Copyright (c) The McGraw-Hill Companies, Inc. Permission required for reproduction or display. Each species that appears to the right of the arrow is called a product. left of the chemical formulas. numbers each time you change a coefficient. 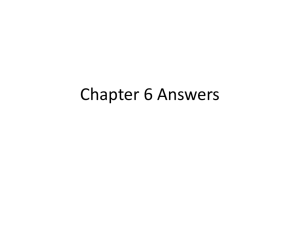 will form from a given amount of reactant. 2 moles of CO combine with 1 mole of O2 to produce 2 moles of CO2. 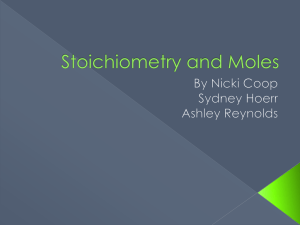 2 moles of CO is stoichiometrically equivalent to 2 moles of CO2. 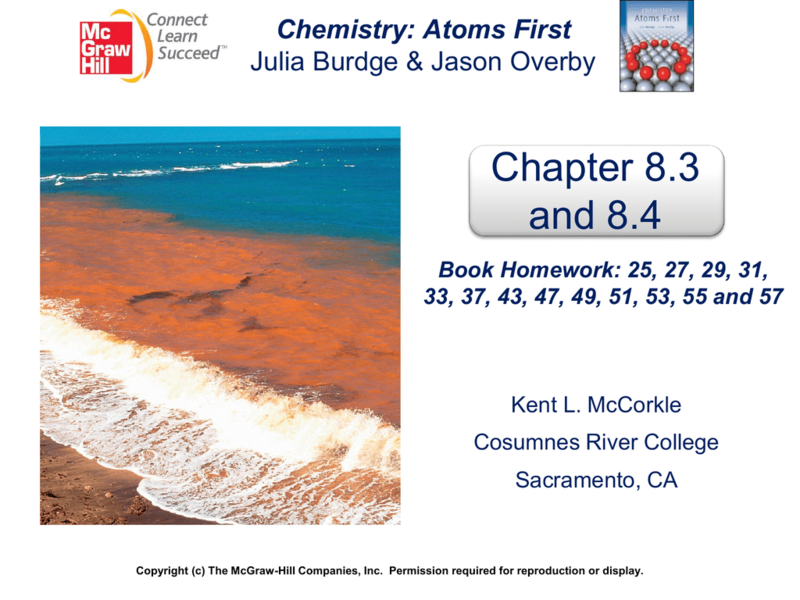 Consider the complete reaction of 3.82 moles of CO to form CO2. Calculate the number of moles of CO2 produced. Calculate the number of moles of O2 needed. dioxide required to react with 5.25 moles of ammonia. also be the same for both species. The reactant used up first in a reaction is called the limiting reactant. 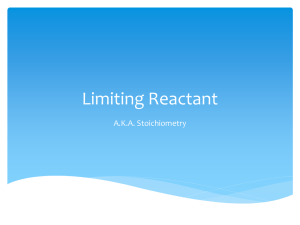 necessary to react with the quantity of the limiting reactant. 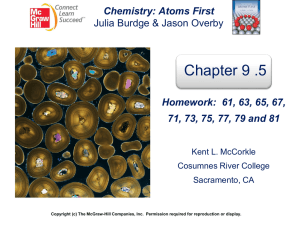 How many moles of H2 are necessary in order for all the CO to react? 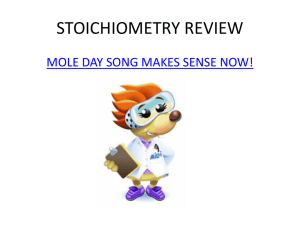 10 moles of H2 required; 8 moles of H2 available; limiting reactant. 4 moles of CO required; 5 moles of CO available; excess reactant. acid (H3C6H5O7) react to form carbon dioxide gas, among other products. molar masses to convert moles of excess reactant and moles of CO2 to grams. necessary to react completely with 0.02024 mol sodium bicarbonate. bicarbonate is the excess reactant. 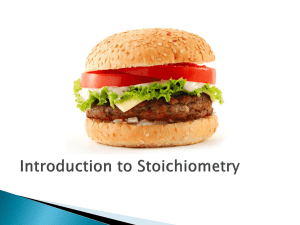 produced from the number of moles of limiting reactant (H3C6H5O7) consumed. 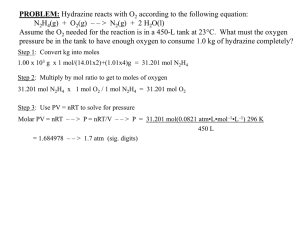 work by calculating the amounts of the other products in the reaction. runs out first. In the inventory shown in this figure, wheels are that part. the limiting reactant reacts to form the desired product. result if all the limiting reagent reacted. yield given to calculate the percent yield. 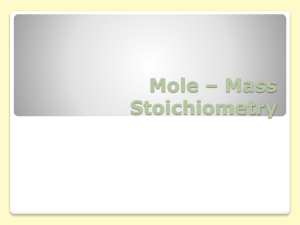 smallest number of moles (in this case, salicylic acid) is the limiting reactant. 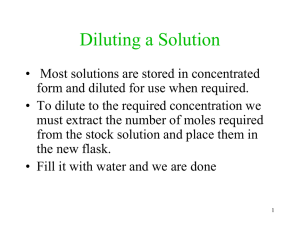 mole of salicylic acid consumed. what mass of water is produced?